We’d love your help. 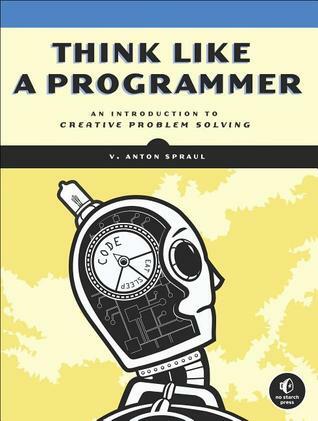 Let us know what’s wrong with this preview of Think Like a Programmer by V. Anton Spraul. Examples in this book are written in C++, but will improve your ability to think like a programmer in any language. To ask other readers questions about Think Like a Programmer, please sign up. Do you have to know how to code to understand this book? Disclaimer: I dropped this book after getting through the first 15% and just browsing till the end. 1. Being better in solving logical puzzles (how to cross a river with a fox, goat, and a cabbage, etc.) makes you a better programmer. Personally, I'm pretty bad at those puzzle, but I'm a fairly successful programmer with 10 years of experience. I don't see how gett Disclaimer: I dropped this book after getting through the first 15% and just browsing till the end. 1. Being better in solving logical puzzles (how to cross a river with a fox, goat, and a cabbage, etc.) makes you a better programmer. Personally, I'm pretty bad at those puzzle, but I'm a fairly successful programmer with 10 years of experience. I don't see how getting better at this kind of problems relates to any programming tasks I need to do. 2. C++ is a good language for teaching the book, because it's low-level and if you can understand C++, you can understand anything. My problem with that is that a) there are better low-level languages to use IF we want to use a low-level language for this task (for example Rust), b) using a low-level language and explaining pointers isn't the best way to introduce people to a programing mindset (which seems to be the aim of the book). Wojtek Ogrodowczyk Hi Ty, I struggled with your question and came up empty. I don't think I can recommend any books on programmer _thinking_. I think we all think in a b Hi Ty, I struggled with your question and came up empty. I don't think I can recommend any books on programmer _thinking_. I think we all think in a bit different way. For example, I can often see different approach to problems among frontend and backend programmers. the only part I didn't like was the reliance to C++ but it really doesn't matter the language over the way to approach programming. I liked programming's relationship to puzzles; it reminded of of when learning to play the card game Bridge my roommate (LPC) compared each Bridge hand as a Puzzle to solve. Good examples and good exercises that where not just busywork homework. Thanks. It should go without saying that this book is most of benefit to someone who is a computer programmer, and especially someone who is skilled enough at C++ to do the exercises in this book. I must admit that I am not the ideal person for this book, not having that sort of programming basis, something that the author repeatedly comments on, such as when he pokes the reader saying: "I'm not kidding about doing the exercises. You're not just reading the chapters and moving on, are you (109)?" about It should go without saying that this book is most of benefit to someone who is a computer programmer, and especially someone who is skilled enough at C++ to do the exercises in this book. I must admit that I am not the ideal person for this book, not having that sort of programming basis, something that the author repeatedly comments on, such as when he pokes the reader saying: "I'm not kidding about doing the exercises. You're not just reading the chapters and moving on, are you (109)?" about halfway through the text. No doubt there are many readers of this book like myself who did precisely that, but hopefully there are at least a few readers who can program who take this book to heart because it has a lot to say that is very worthwhile and deserves to be taken as seriously as the author intends it. This is, in fact, the sort of work that should be a part of introductory courses on computer programming that involve teaching C++ as a companion to the work of learning the programming language itself, largely because its approach is solid when it comes to learning how to solve problems and develop the mental discipline and tools of the trade to become a skilled programmer. If I am not such a person myself, at least I seek to appreciate a job well done when I find it . The contents of this excellent and modestly sized (220 pages or so) book are organized in a thoughtful and disciplined way, as would be expected. After some acknowledgements and an introduction, the author begins by looking at strategies for problem solving that help someone transition from being merely a coder to being a genuine programmer. Then the author looks at pure puzzles, like sudoku, and how they are solved using various strategies that can then be applied to novel phenomena. After this the author discusses ways to solve puzzles with arrays, and then pointers and dynamic memory, and then classes, recursion, and the smart re-use of code by others, before closing with some overall thoughts and comments on how to think like a programmer. 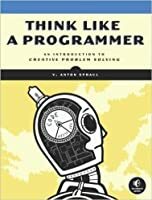 Each chapter closes with exercises that the author is very concerned that readers actually try out and work to solve, and the topics get progressively harder as the book goes on, to the point where someone ought to be a fairly expert programmer if he or she has taken the book seriously enough. This is not a book to breeze through, but rather one to take seriously and gradually. So, having established that this book is most of use to someone who is learning or already at least somewhat skilled in programming in C++, what insights can someone gain from this book if they are not particularly skilled at programming. Fortunately, many of the insights of this book are modular and applicable far outside programming. For one, a great deal of success in life depends on being able to solve problems without getting frustrated or despondent about them. Likewise, a great deal of problems in life are modular in fashion and easier to deal with when appropriately divided and handled in isolation and in a certain sequential order. Also, learning how to solve some problems improves one's skill set for other problems. The author also makes sound points on knowing one's personal patterns and tendencies and not seeking to rely on people working against them, but rather working with them in some fashion by prompting conscious thought and reflection. 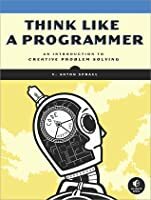 There is a lot to appreciate on this book on every level, and not just as a practical guide to computer programming, but also as someone who thinks about problem solving on wider levels. My college did a decent job of training computer majors to be problem solvers. This book would have made an excellent companion text to instruction on data structures and algorithms. The author recommends knowledge of or simultaneous study of C++. I feel it would be accessible to any programmer in the C language family. Programmers in other languages could also obtain some benefit, but understanding would be a harder climb. Sure wish my workplace had allowed the luxury of studying a language before building production applications with it. Some of the author's recommendations in the last chapter are not always within the working programmer's control. The difference between academia and the rest of the world. Несмотря на слегка наивное название, книга сочетает в себе несколько очень интересных кейсов в решении логических задач (Problem Solving). реализация алгоритма Луна (Luhn), шифрование текста и использование динамической памяти. Unfortunately, Think Like a Programmer leaves something to be desired. This is much less a book about developing your skills as a programmer than it is a book about strategical problem-solving. I suppose that was an oversight on my part since the title states it's an introduction to problem-solving, but I was expecting more. I wish I could say I was given a new perspective on said problem-solving, but I wasn't. The way this book approaches problem-solution situations can be easily summed up as "b Unfortunately, Think Like a Programmer leaves something to be desired. This is much less a book about developing your skills as a programmer than it is a book about strategical problem-solving. I suppose that was an oversight on my part since the title states it's an introduction to problem-solving, but I was expecting more. I wish I could say I was given a new perspective on said problem-solving, but I wasn't. The way this book approaches problem-solution situations can be easily summed up as "break larger problems into smaller, easier problems." The book does take this approach and explain the steps that the author takes to solve various problems but in the end, it's just a very long-winded display of the one line summary. If you're the kind of person who already tackles coding challenges in your spare time (CodeFights, LeetCode, Codewars, etc. ), you probably won't take much away from the book in terms of adopting new methods of problem-solving. If you don't take part in those kinds of challenges, I highly suggest you take a peek at the sites mentioned while you read the book. This book’s fantastic. From a beginner to an experience programmer, I believe everyone can benefit from reading it. It hammers down some fundamentals and also describes a new way of thinking about programming concepts. This is the best resource I’ve found for preparing for interviews and I’ve read CTCI 3x. He explains things thoroughly and so in-depth, that it feels like he’s sitting in a room with you talking to you about it. He’s also encouraging and that pushed it even more to the top for me. This book’s fantastic. From a beginner to an experience programmer, I believe everyone can benefit from reading it. It hammers down some fundamentals and also describes a new way of thinking about programming concepts. He’s also encouraging and that pushed it even more to the top for me. He doesn’t beat you down or overly complicate the material like a lot of resources do. It’s written like a conversation and I’m obsessed. I’ve never written C++ but that didn’t bother me. I don’t see why that’s a hang-up for some people but that’s ridiculous. Absolutely brilliant! Would recommend this book to anyone starting to learn programming, and anyone who is self-taught or just wants to practice algorithmic thinking. The way the author teaches programming in this book is unlike any other I've come across. And it's timeless - the lessons in this book will apply even 10 years later. A really well-written book for someone with a foundation algorithms and data structures. The information is presented in a structured manner, there are plenty of examples, and clear explanations are given throughout. Highly recommended for anyone who's acquired basic knowledge of a C-like language and would like to know more. A great book. It really helps with developing your problem solving skills, and it appeals to a beginner and an expert programmer alike. The problems presented are solved with a step-by-step explanation and pseudocode, which makes everything a lot more understandable. Each problem also has a C++ solution, so that you may test the code yourself. Overall a great book to learn some problem solving skills - it's never too late for that. - found some pieces of useful advice that resonated/introduced new perspectives to my current knowledge in each chapter. - All in all would recommend it to a programmer in the making. - it's an easy read. - problems are not so difficult. Great information, exercises, and advice for anyone interested in programming and thinking of making a career. Pretty Good for a beginner to have as a reference. The dependency to C++ is a bit annoying but understandable. This is a good read for entry- to mid-level programmers. Presents good practises and approaches to problem solving techniques with detailed examples and extra exercises to work on. A perfectly fine book to flip through. Most of the headline advice here is the sort you could get from any "how to solve programming problems" book: restate the question, pay attention to the constraints, reduce the puzzle area, draw diagrams. And yet, though this is not the first book in this area that I've read -- which would seem to make it repetitive and unnecessary -- I actually found myself mostly interested in Spraul's examples and explanations. I especially enjoyed his chapters on recursio A perfectly fine book to flip through. And yet, though this is not the first book in this area that I've read -- which would seem to make it repetitive and unnecessary -- I actually found myself mostly interested in Spraul's examples and explanations. I especially enjoyed his chapters on recursion (head vs. tail recursion, when recursion/iteration makes sense) and his final chapter, which starts with the call for self-knowledge: what are your strengths? What are your weaknesses? The best part of the book is the logic explanation to each problem presented. When you know how to approach the solutions that certainly helps you plan your code. It was an entertaining read for a subject that could easily be a bit dry. Lots of good ideas and exercises in this book. If you're going to read it, do it right, and try everything! a book should be read early in a porammer's career. It is about some deepdown way of thinking in writing programs to solve problems and its effect on me is subtle but profound. A good read for college students with emphasis on problem solving rather that a specific language syntax. Putting this on hold, it's a good book I just have too many other things to work on right now.